The end of the tax year requires employers to report to HM Revenue & Customs (HMRC) on the current tax year and prepare for the new tax year, which starts on 6 April 2019. Each tax year stands alone for the purposes of the operation of PAYE and National Insurance. Details of pay and tax are not carried forward from one year to another. This article looks at how best to go about completing the annual reporting tasks to avoid making late or incorrect returns and incurring penalty charges. Employers are required to send the final Full Payment Submission (FPS) report on or before the employees’ last pay date of the tax year (which ends on 5 April 2019) and enter “Yes” in the “Final submission for year” field in the payroll software to indicate to HMRC this is the final return for the tax year 2018/19. If an employer has more than one payroll under the same PAYE scheme reference (eg employees are paid both weekly and monthly), include the end of year information in the last report sent to HMRC. An FPS report must be sent in by midnight on 19 April 2019, otherwise a different report, an Earlier Year Update (EYU) must be used. Employers can submit an EYU to correct FPS information for up to six years after the original FPS was sent. If a mistake is made in the final FPS of the year, how this is corrected depends on the type of mistake and when it is discovered. There are three basic scenarios. Send an additional FPS with corrected year-to-date figures, and enter “0” in “Pay in this period”. Send an EYU showing the difference between the amounts on the wrong FPS and the correct year-to-date amounts (do not enter the year-to-date figures). Send an additional FPS with the correct payment date — put “0” in “Pay in this period” and show the year-to-date figures. The payment date reported on an FPS should be the earlier of the date an employee is paid or the date the employee was entitled to that payment. If the payment falls on a “non-banking day” show the payment as having been made on the regular pay date. Sometimes it is necessary to send an Employer Payment Summary (EPS) report instead of an FPS. This will be the case where any of the following apply. The “Yes” indicator was omitted from the last FPS report sent for the tax year. No employees were paid in the final pay period of the tax year. The final FPS was submitted early and no employees were paid for one or more full tax months in the last tax year. If an FPS report is not submitted on time or HMRC are not informed by sending an EPS report that no employees have been paid, a specified charge can be raised, which is an estimate of how much HMRC thinks is payable. This is based on the employer’s previous PAYE payment and filing history. Only the submission of the missing FPS or EPS will replace the specified charge with the amount that is due and support any appeal against a late filing penalty. If employees are paid weekly, fortnightly or every four weeks, the paying employer may be required to make an additional payment, referred to as a “week 53/54/56” payment and report this as the final FPS of the year. For the tax year 2018/19 this will be the case where the last normal weekly payment falls on Friday, 5 April 2019. Where this happens, the payment is treated as being paid according to the employee’s normal earnings period and in the “Tax week number” field on the FPS it will be necessary to enter 53/54/56, as appropriate. The payroll software should perform the additional pay period calculation and HMRC will send a P800 form to any employees who have underpaid income tax, following a week 53/54/56 payment being made by their employer. For each employee in employment on 6 April 2019, it will be necessary to prepare a new payroll record. The payroll record is only used to record details of taxable pay, tax and National Insurance deductions for the new tax year. 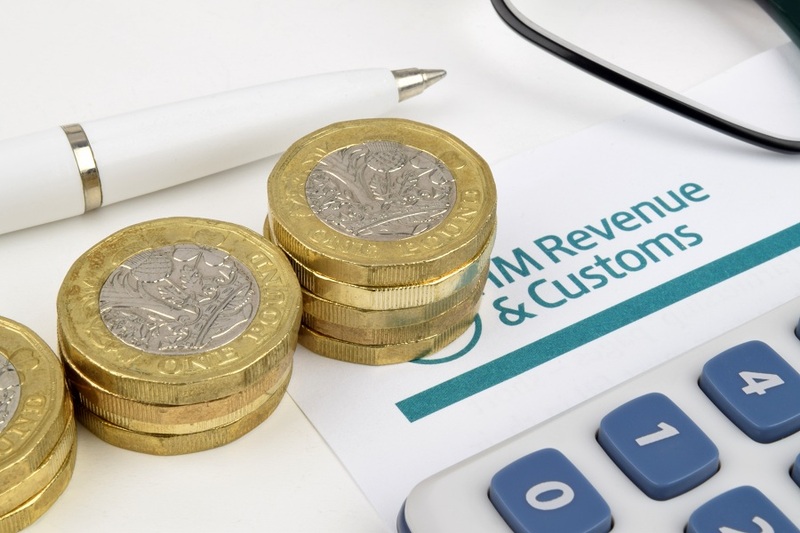 HMRC will not issue a new tax code to all employees. HMRC will send employers either a P9T form for any employees who need a new tax code or a P9X form with general changes for employees. For example, from 6 April 2019, if the employee’s tax code ends in “L”, it will be necessary to add 65, for example 1185L becomes 1250L (this will be the emergency tax code for 2019/20). There is no requirement to carry forward any week 1 or month 1 markings. Any non-cumulative tax code is changed to the cumulative basis. Employers not in receipt of paper P9s in time for the first pay period after 6 April can request a duplicate for their PAYE scheme from the Employer Helpline on 0300 200 3200. For all of those employees in employment on 5 April 2019 it is necessary to issue a form P60 on paper or electronically summarising the total pay and deductions for the tax year by the 31 May 2019. If an error is discovered in the figures then a new P60 marked “replacement” can be issued, or a letter confirming the change can be sent, to the relevant employee. If benefits and expenses have not been processed through the payroll under voluntary payrolling, then it will be necessary to complete form P11D to report expenses and benefits to HMRC by 6 July 2019. The information sent to HMRC must be given to the employee by the same deadline. This is normally a copy of the P11D, but it does not have to be, provided the employee is informed how much each benefit is worth. Employers must also submit a P11D (b) form to HMRC by 6 July 2019 where any P11D forms have been completed or employees’ expenses or benefits have been processed through the payroll. The P11D (b) form is the summary of the employer only Class 1A National Insurance charge payable to HMRC by 22 July 2019 (19 July 2019, if paying by cheque). Employers with a lot of tax code notices for their employees should use HMRC’s PAYE Desktop Viewer. This is an HMRC application that allows an employer to view, search and sort large numbers of employee tax codes and notices. Make sure payroll software is updated from 6 April 2019 so it uses the latest rates, limits and thresholds for income tax, National Insurance, statutory payments and student loan deductions. Use the key dates identified in this article to create a checklist of year end deadlines to avoid late filing penalties.